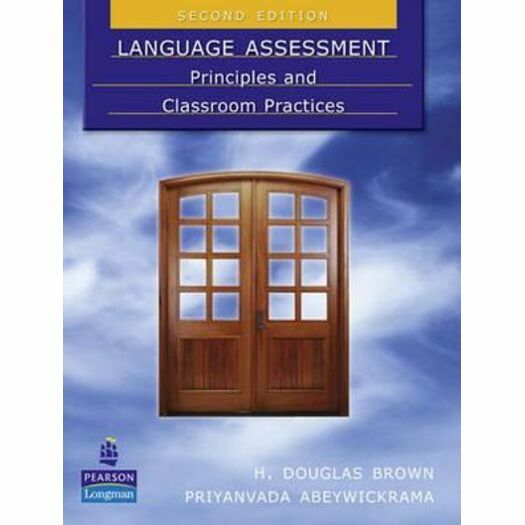 Language Assessment provides teachers with a clear presentation of the essentials for assessing second language learning fairly and effectively. This updated second edition includes new research and information on standardized tests, a new chapter on form-focused assessment, and a concise glossary of terms. With a focus on the most common pedagogical challenge — classroom-based assessment — Language Assessment delivers useful tools for evaluating and designing practical, effective assessment techniques. Updated references and new information reflecting recent advances and current challenges in the field. Classification of assessment techniques ranging from controlled to open-ended item types on a specified continuum of micro- and macroskills of language. Systematic treatment of assessment for all four language skills (reading, writing, speaking, and listening) as well as grammar and vocabulary. Discussion of large-scale standardized tests, the ethics of testing, letter grading, and overall evaluation of student performance. Comprehensive presentation of alternatives in assessment, such as portfolios, journals, conferences, observations, interviews, and self- or peer-assessment.